Martin Docherty-Hughes MP has completed the Scottish Half Marathon raising over £650 for local charity Carers of West Dunbartonshire. The MP for West Dunbartonshire undertook his first ever half marathon race on Sunday 23 September, completing the 13.1 miles course in 1 hour 57 minutes. 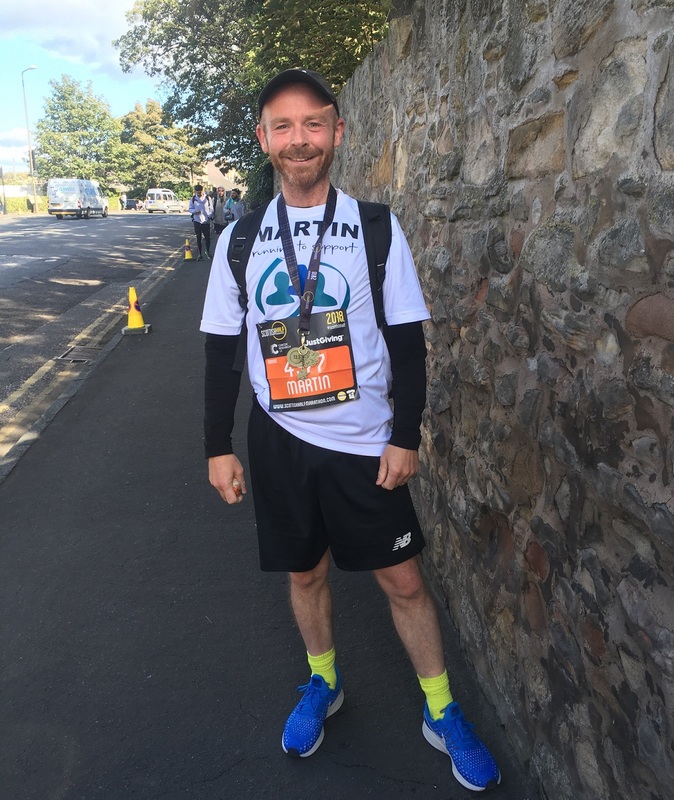 All money raised from Martin’s charity run will go towards supporting the work of the Carers of West Dunbartonshire which provides assistance to carers across Clydebank, Dumbarton and the Vale of Leven. The total raised on the MP’s fundraising JustGiving page currently stands at £652.65. “The Carers of West Dunbartonshire is a fantastic local charity and I’m delighted to have completed my first ever half marathon in support of such a good cause. “Running 13.1 miles was a real challenge for me, but it pales in comparison to the challenges of being a carer – something I have first-hand experience of from a young age along with my brother and sister.